What makes a product worthy of the “holy grail” title? Is it tenure in one’s routine? Living up to what was once just over-hyped claims of transformation? Perhaps, it’s the mere fact that a product is yours, and you love it. Whatever case rings most true, there’s no denying that an item must be quite exceptional to place it at the top of your list, crowning it one of the chosen few you continue to reach for time and time again. 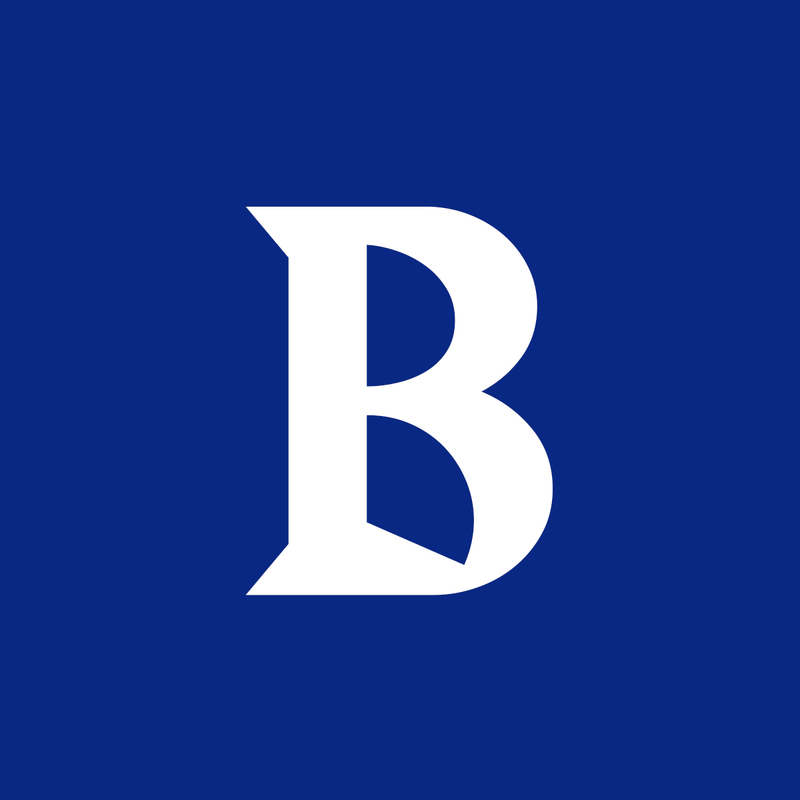 Many have been worthy of the “holy grail” title throughout the years: Embryolisse Miracle Cream, Bioderma Sensibio H2O, and the Beauty Blender are a few repeat offenders in the kits of beauty authorities and novices alike. The marvelous (and sometimes cruel) thing about the industry, however, is that new products are released every day. Beauty trends evolve like everything else, and we are constantly making room in our medicine cabinets and our budgets to test the latest and greatest, looking for that new thing that wows us. So, who best to ask for an up-to-date arsenal of stand-out products than our editors? Below, our diverse crew of beauty buffs share their current roster of products that continue to make the cut every single time. “Growing up with a hairdresser for a mother and spending countless hours perched dutifully next to a shampoo bowl, I have always had a recognizable affinity for beauty. From the time I could walk and talk, my mother entertained just about every one of my outrageous requests: blonde highlights (I’m half Asian), press-on nails (which more accurately resembled claws stuck to my tiny, seven-year-old fingers), literal feathers in my hair (yes, you read that correctly). You name it, my mother’s reply was, “Why the hell not! It’s only temporary.” And, for that, I have quite the collection of painful school photos. What started out as pouring on way too much of my mother’s precious Chanel N°5 and playing around in samples the clerk would gift her with a purchase, quickly turned into a need for various purses to store the essentials: one for money, one for toys, and another for beauty. I was three. "I was cursed with large pores and oily skin. My mother attempts to convince me daily that I'll be thankful for said oily skin someday (goodbye, premature aging!) 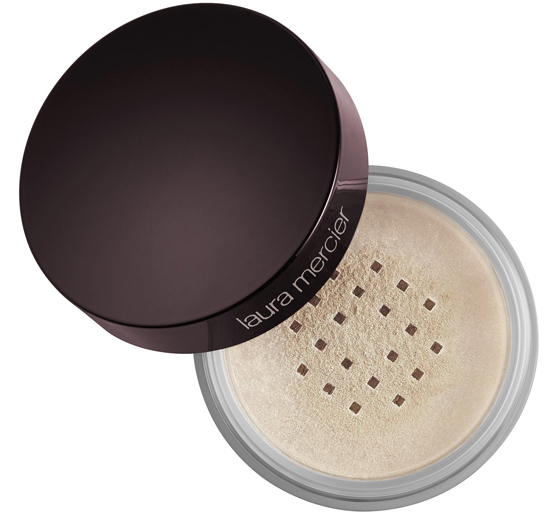 But, in the meantime, this is my go-to powder to keep the shine at bay. I love to buff it into the skin after all of my makeup has been applied. It has the most gorgeous finish!" 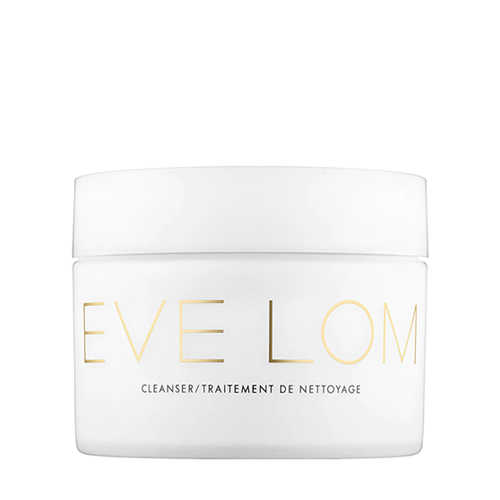 "I was introduced to double-cleansing a few years ago, and have never looked back. I have an arsenal of favorites, but this one by Omorovicza continues to top the list. Not only are the ingredients divine, but it removes every morsel of makeup, no fail. It's pricey, but worth every penny." 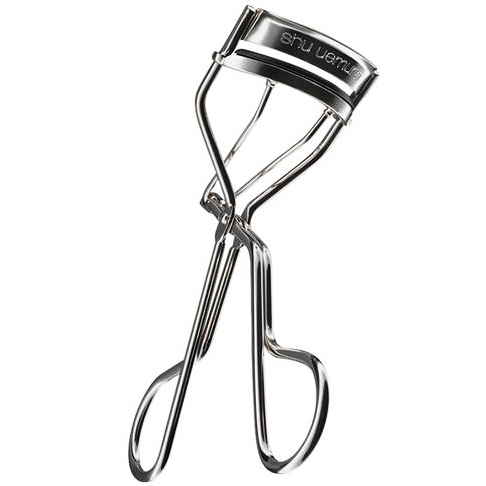 "This is by far the best eyelash curler I have ever used. Trust me, I've used them all. I'm not sure if it's the way my eyes are shaped or the fact that this tool is actual magic, but I will never use another." 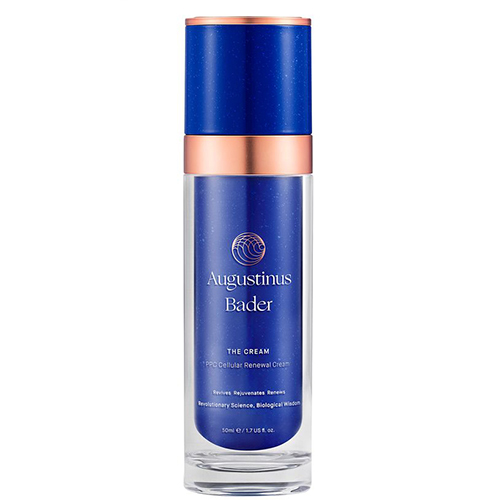 "I am incessantly striving to achieve the lived-in hair look everyone is always raving about, so I'm always on the hunt for the next best texturizing spray. No matter how many I test, this is the one I always come back to. It adds the perfect amount of grit, without weighing the hair down." "Why are people sleeping Escentric Molecules?! It's the best kept fragrance secret out there. The structure is simple, so it's great on its own or layered with other scents. 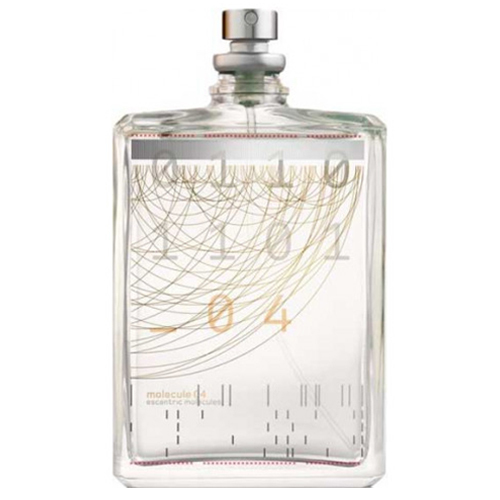 The base note is Javanol (or sandalwood), and every time I wear it, at least one person asks me what it is." 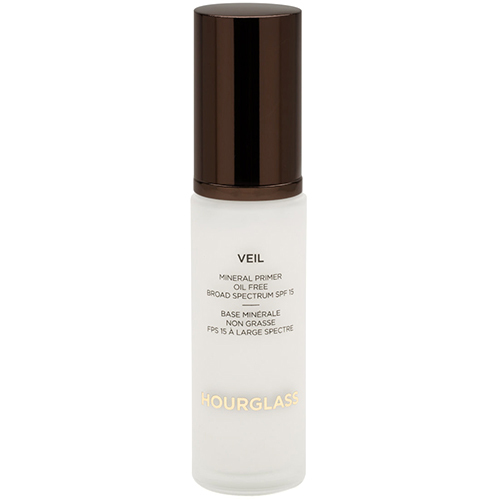 "I have yet to experience an Hourglass product I don't wholeheartedly adore, but this one in particular takes the cake. 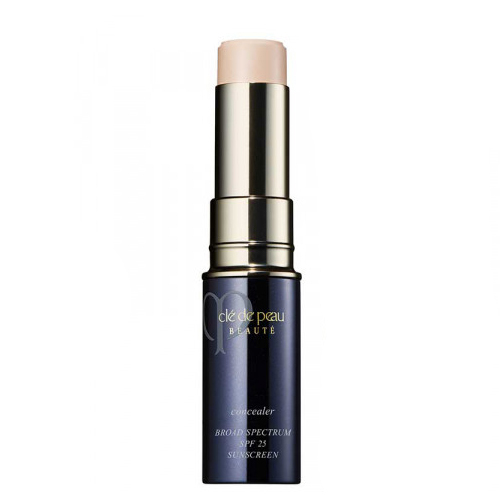 No matter what foundation I use, this velvety first step helps my makeup stay put all day." 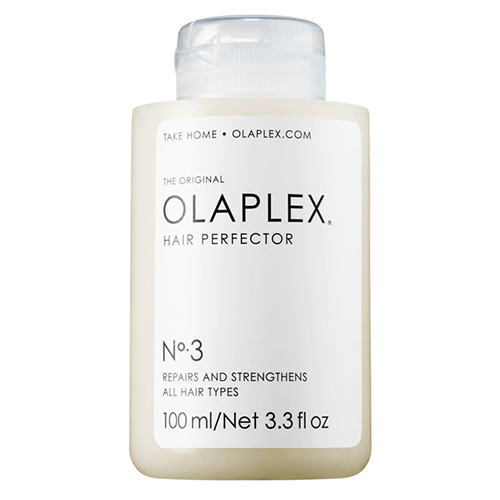 "I've never encountered a product quite like the Olaplex Hair Perfector No. 3. It's an after-wash treatment that I prefer to leave in overnight. 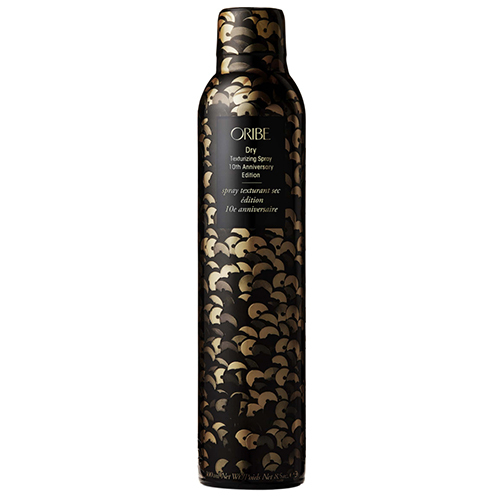 When I rinse it out in the morning, my hair is instantly transformed: softer, smoother, and more manageable. I love to incorporate it into my Sunday self-care routine." 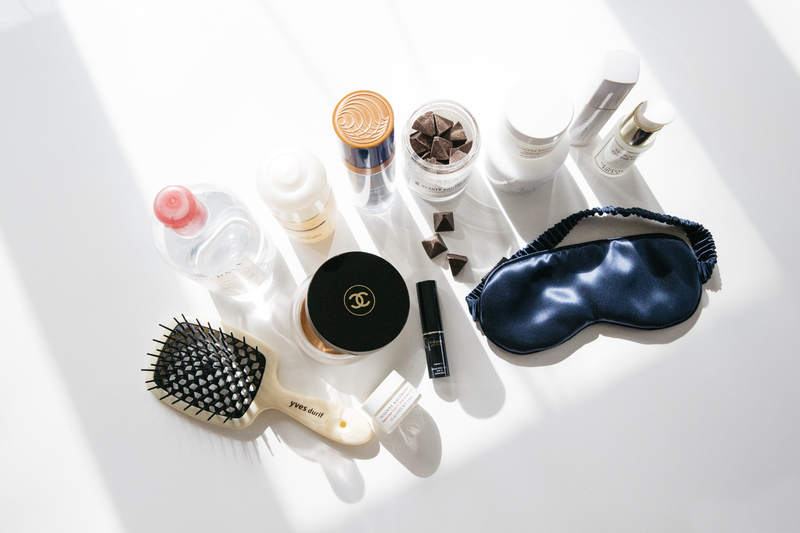 "I love a good 10-step K-beauty routine. There's nothing more gratifying than slipping into a sheet mask and allowing your other products to truly soak in. 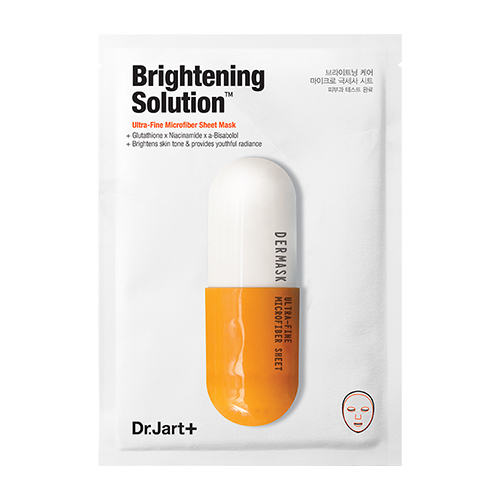 I tend to think that Dr. Jart makes some of the best variations, with the brightening solution being an all-time favorite." 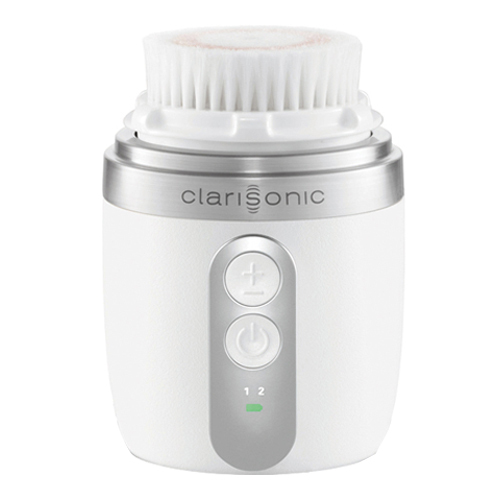 "I simply could not live without my Clarisonic. It definitely levels up my cleansing game by making sure every last bit of makeup is removed. My skin feels so refreshed and smooth after I've used it. I also love that it's waterproof, so I can take it with me in the shower!" 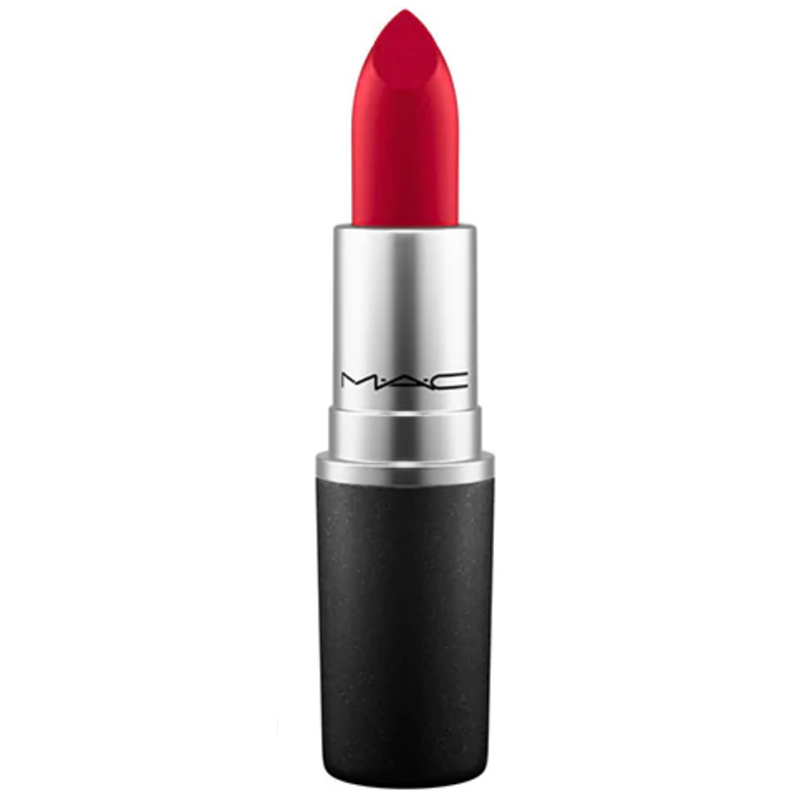 "One more time for the people in the cheap seats: I love Ruby Woo! It's my go-to whenever I'm not sure what to do with my makeup. I love pairing it with my beloved pair of bright blue earrings by Annie Costello Brown. It's a head-turning combination for sure." James Kicinski-McCoy's repeat beauty lineup. “When I was fourteen, my best friend Kari and I would spend our hard-earned babysitting money on the latest issues of Seventeen, YM, and Sassy (and tubes of cookie dough, which we would cut in half and eat with spoons). Our weekends were dedicated to clipping pictures of nineties beauties like Linda Evangelista, Liv Tyler, and Tyra Banks and then pasting and taping elaborate collages onto sheets of paper inside giant binders we called our ‘Beauty Books.’ We would pool our makeup together and spend hours plucking eyebrows, curling hair, and lining lips with brick-colored pencils, while blasting The Cranberries and Guns N’ Roses, and then take pictures of our new looks with real cameras. It was the pre-cellphone, pre-social media era of vanity and documentation. You would think I should be a pro-beauty YouTuber with all those hours of makeup under my belt, but no. 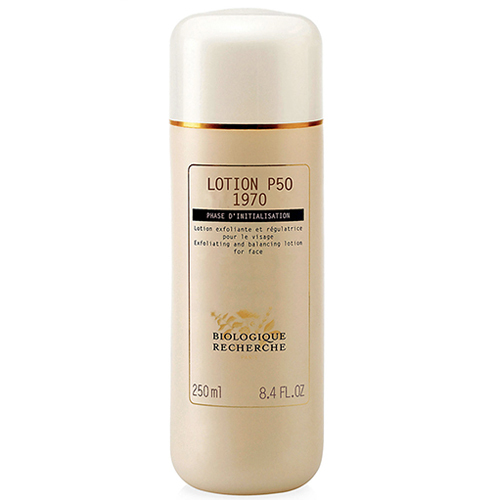 "I've been using Lotion P50 1970 for four or five years now. I prefer the '1970' which is the original formula with phenol on its ingredient list. It has has truly worked miracles on my skin. It exfoliates, hydrates, and balances the skin's PH. I Won't. Ever. Stop!" 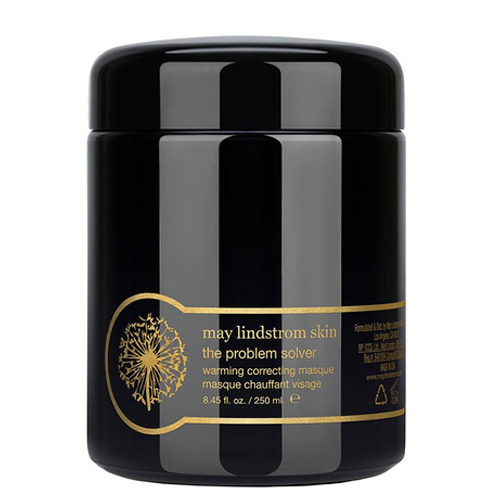 "Despite its steep price tag, this cult favorite moisturizing cream gets an A+ in my book. 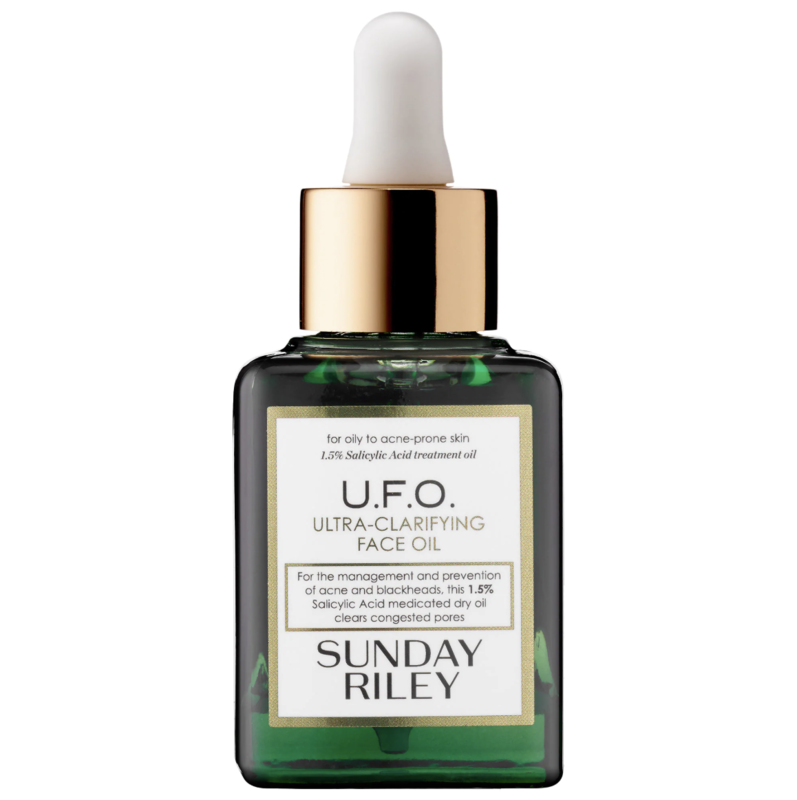 I slather it on before bed and wake up with a baby-face complexion." "The best oil cleansing balm I've come across. 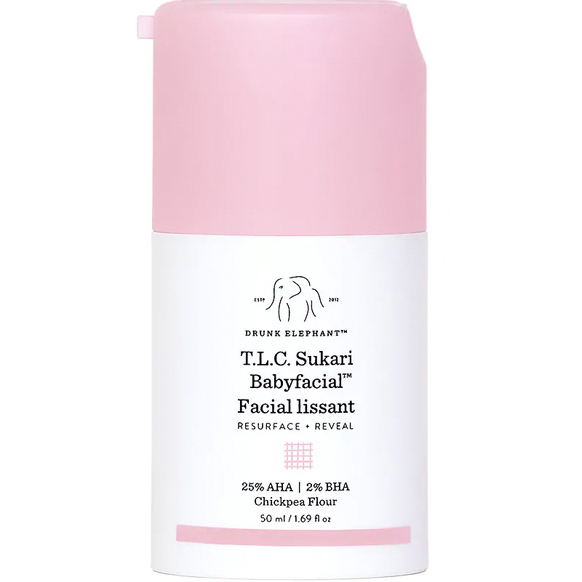 It dissolves heavy makeup in an instant and leaves my skin feeling fresh and squeaky clean. It comes with a muslin cloth that buffs, while removing the day away." 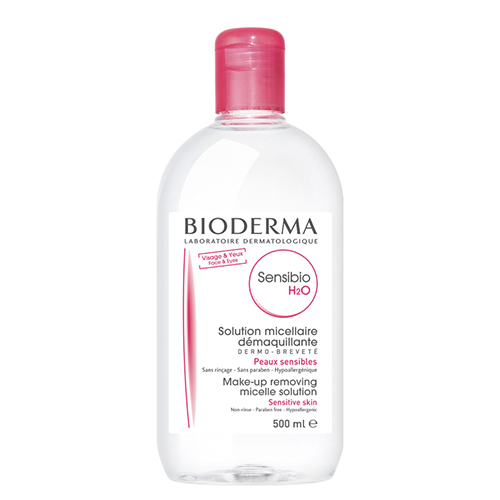 "Micelle water is a game changer when it comes to removing makeup, gunk, and dirt. Not only does it melt away stubborn eye makeup and baked on foundation like not other, but it can be used alone as a no-rinse cleanser for those late nights and upcoming travel plans." 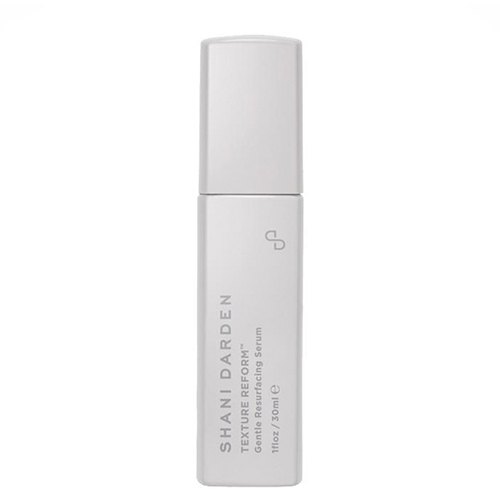 "A mild, yet mighty player in the retinol category. 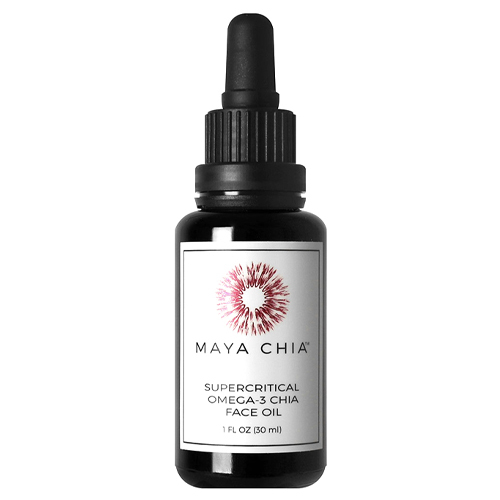 This hybrid serum has transformed my skin by reducing redness, resurfacing, and plumping fine lines without the drying and flaky side effects that prescription retinoic acids bring." 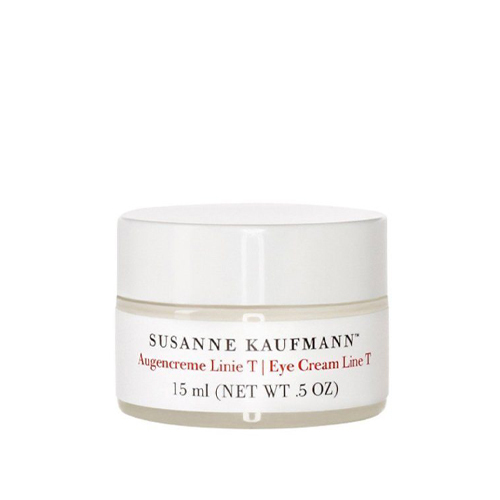 "Susanne Kaufmann is one of my favorite skincare lines. Her products are clean, simple, and they smell incredible. This eye cream is no exception. It's cooling, hydrating, and I just love it." "My hair is super duper fine, erring on the side of thinning. 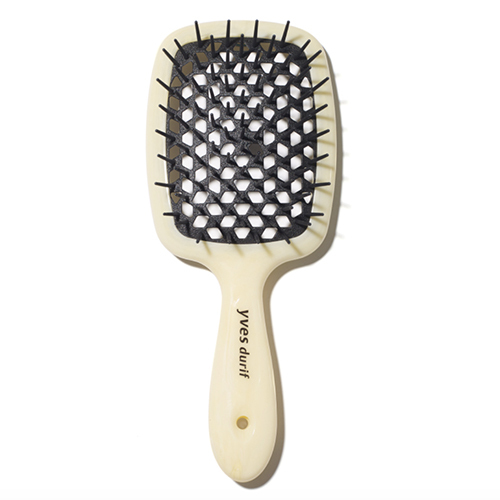 This square brush has wide bristles, so it gently combs through my hair without the breakage from other brushes I've tried. Plus, it's vented, so blowdrying my hair takes only a few minutes." 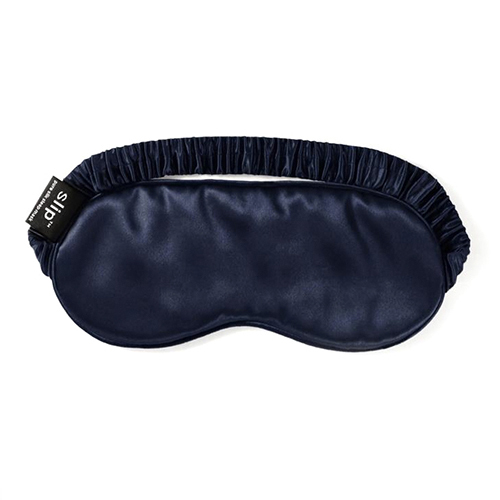 "If you haven't tried a sleep mask, what exactly have you been doing with your life? But, seriously. I'm not quite sure what it is—the total darkness or the gentle pressure over the eyes—but, I sleep so much better when I wear it, and beauty rest is important." "Quite possibly my favorite makeup product of all time, well, besides mascara—I love me some mascara. This creamy, velvety bronzer is light and highly blend-able. I apply it with my fingertips across my cheekbones and over the bridge of my nose to give me that subtle, sun-kissed look." "Another MVP in my routine is this powerful lactic-acid treatment. Our love affair started with a deluxe-size sample, and now I just can't get enough. It brightens and leaves me feeling baby-faced." "Yes, this is the most expensive concealer I have ever owned, but it is worth every single penny! Coined the 'Magic Eraser' for a reason, this stuff hides dark circles and spots like no other. And, it lasts forever, so I don't feel too bad about the steep cost." 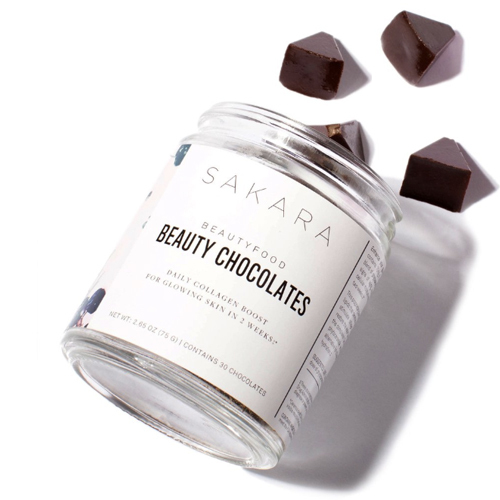 "My daily dose of collagen, in a bite-sized, delicious, chocolatey treat. Because chocolate, and because beauty isn't only skin deep. I take two a day." 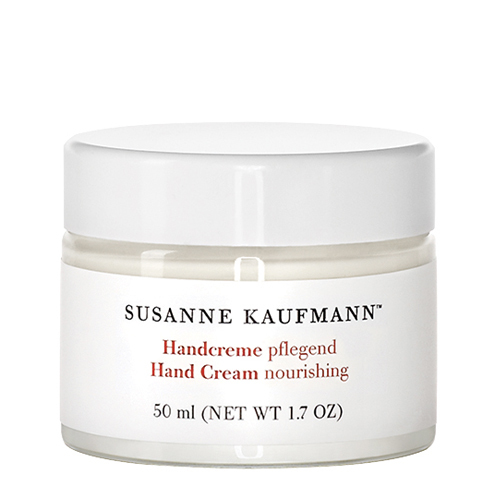 "Another Susanne Kauffman favorite...this hand cream is super hydrating and nourishing and contains ingredients like broccoli oil and mallow. I LOVE the way it smells, and wish the scent (perhaps a more subtle, indirect cousin to the banana?) came in a perfume. It's intoxicating!" Sarah James' natural hero products. “I have been fascinated with skincare and cosmetics since I first watched my mom remove a peel-off mask in the late 70s. I remember thinking, ‘Either my mom is about to die or I am witnessing some serious magical sorcery.’ Since then, I have never looked back. I am fully, unapologetically obsessed with all things beauty, so much so that I’ve created a career around it. 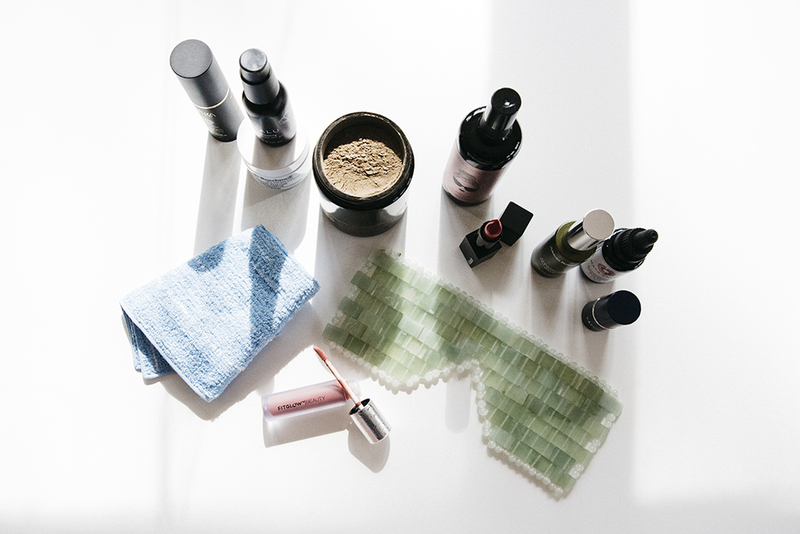 "I remove all of my masks and skincare with these organic face towels. 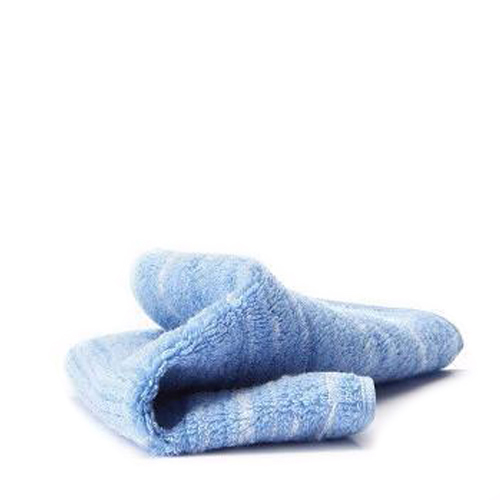 The blue gradient texture disguises a lot of the discoloration you normally see from masks so they look great for so much longer than traditional white or light-colored washcloths." 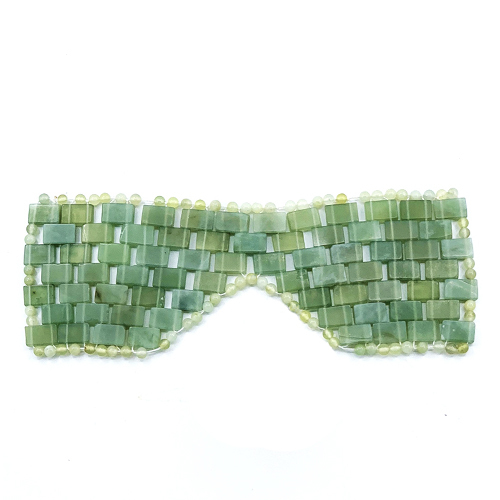 "This jade mask is such a delight to put on my face when I’m stressed out and needing a moment. Added bonus: Since jade is naturally cool to the touch, the temperature and slight weight on my face helps to de-puff and soothe. I use it during meditation, too." "Best lip glosses, hands down. The texture, the scent, and the magical ability to make my lips look plumper makes these lip serums impossible to top in my book." "I’ve written about this oil so many times I should take it on the road. Bottom line: It’s always the last step in my skincare regimen. It hydrates and soothes my slightly finicky skin, while the bright citrus scent gets me going every time." "Pro-tip: Wear this underneath the Inika BB Cream for the most incredible lit-from-within glow you’ve ever seen. Bonus: It’s a super clean SPF 30. Double bonus: It smells like jasmine. Can’t go wrong here, folks." 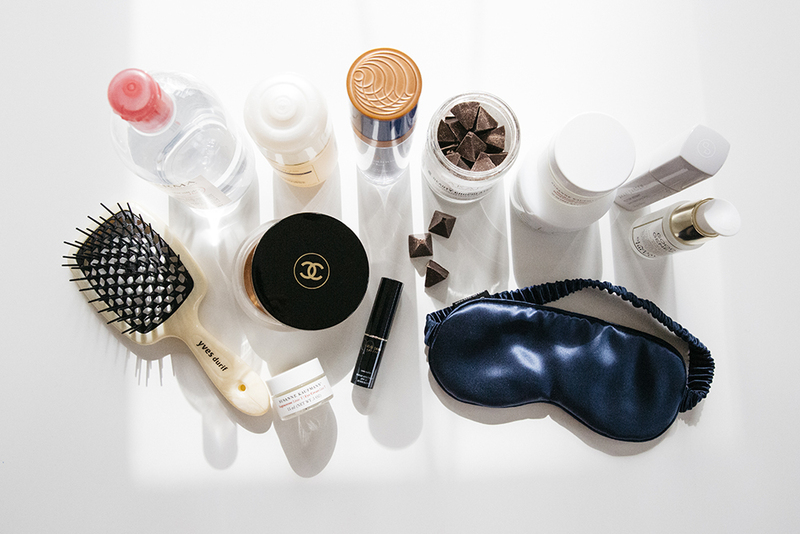 "I have three of these in rotation at all times—bedside, vanity, purse. I love the hydration this balm provides without being goopy or sticky. 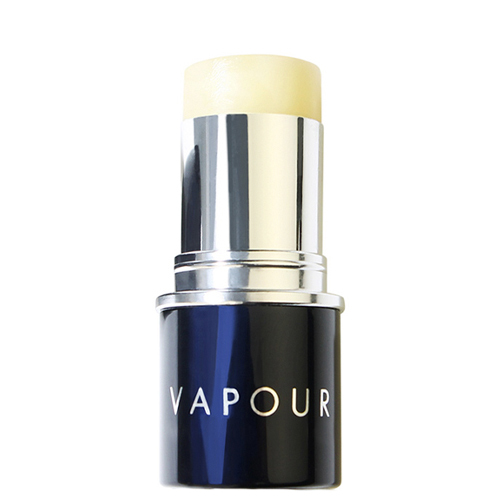 Also, it doubles as a great cheekbone highlighter, brow tamer, and flyaway smoother." 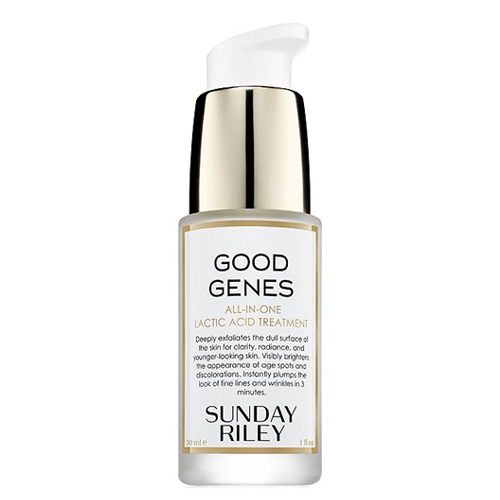 "Ladies looking for a natural alternative to conventional retinol, your search has ended. This sheer gel successfully imparts the elusive task of reducing fine lines and revealing more luminosity, while soothing stressed-out skin. 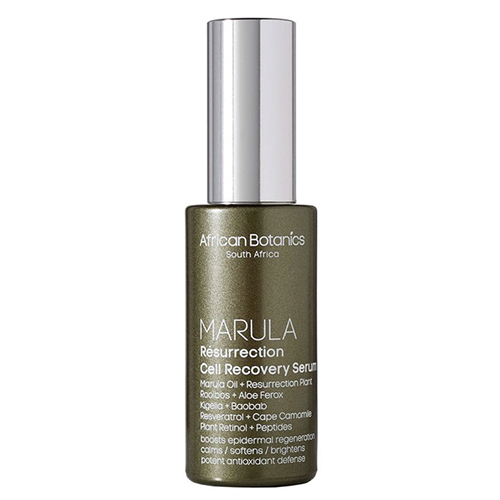 Natural retinol, resveratrol, hyaluronic acid, and rare ingredients from South Africa make this one a winner." "Favorite hair styling product alert! Great for adding a bit of texture and definition to my waves. 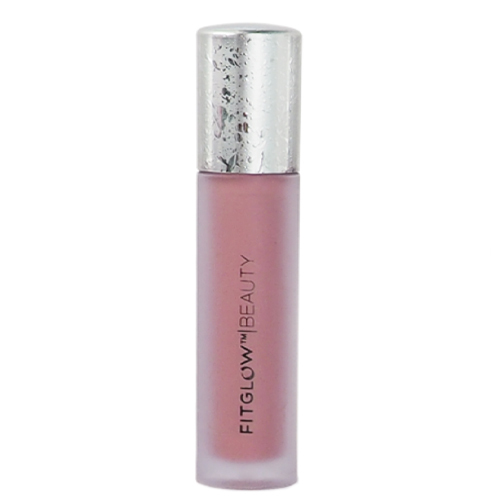 It's infused with Korean pink lotus flower & blush rose quartz. The scent is so delicious." 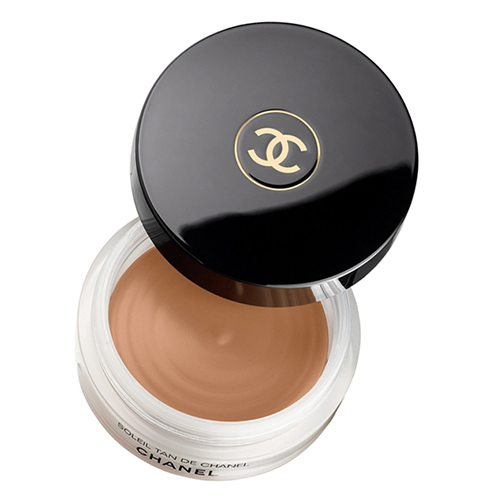 "This is my go-to foundation and has been for quite some time. I don’t know if it’s Australian voodoo magic or what, but it completely blurs any imperfections without making it look like I’m wearing a thing on my skin. I will love it forever and ever, amen." "Holy grail exfoliator, ahoy! Both a chemical and physical exfoliant, this product gets down to business. My skin looks amazing after every use and the herbal scent is divine. 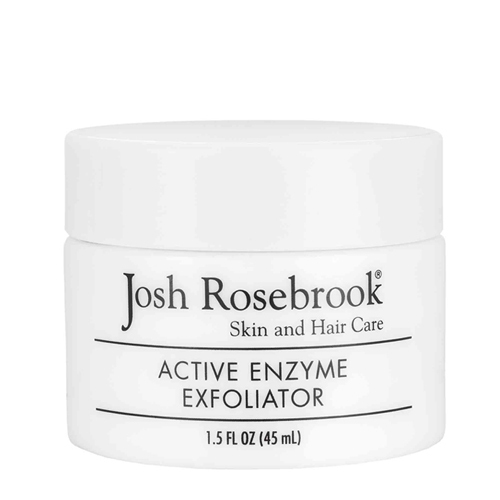 My husband also adores this exfoliator—a great product for men and women, alike." "I told you about my favorite lip glosses, so might as well dish on my fave lipsticks! I have every single color from this line and I adore them all. 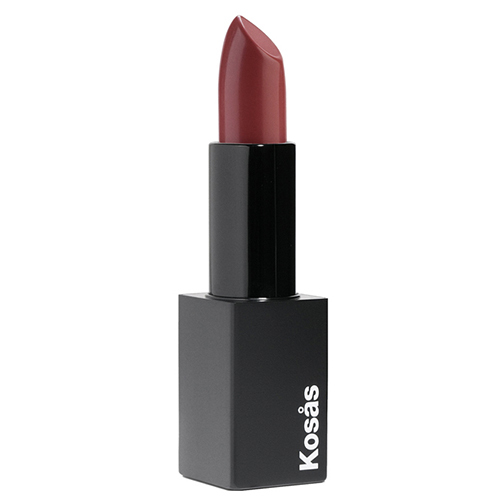 You can’t beat the creamy texture and gorgeous pigments." "This mask does what it says—solves all the problems. This is my desert island masking product. Made with cacao, activated bamboo charcoal, salts, and exotic spices, it smells like the holidays and makes my skin so incredibly balanced and bright." James– Love these recommendations. 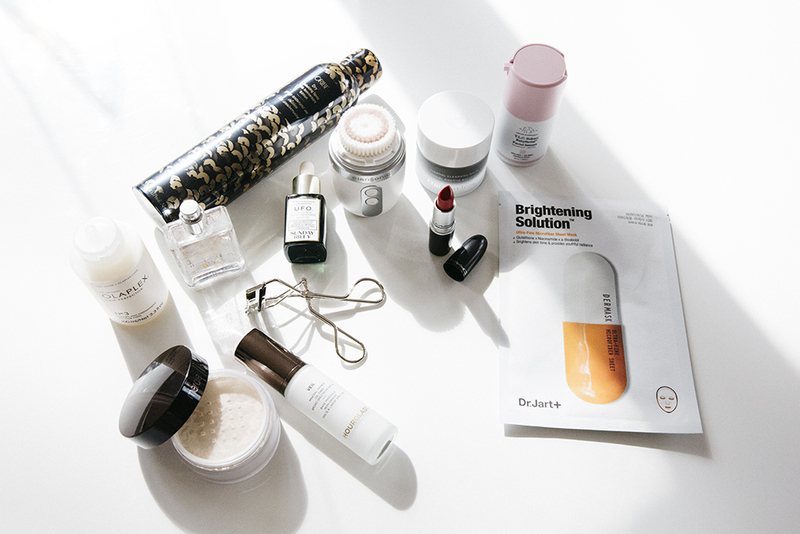 Would you consider writing a follow-up on the order that you use all these skincare products? Thank you! !